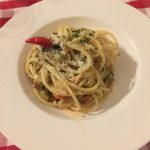 Follow me around the world with advice on locations, places to stay (nites), where to eat (bites), and things to see (sites). Most people I know either love Milano or hate Milano: I’m still not sure why because I think it a fascinating, multi-cultural place with so much to see and do that I just can’t get enough. But, perhaps, in retrospect, people don’t like Milano because it isn’t like the Italy we grew up with in our heads: little streets, little buildings, and lots of ruins. But these are, in all honesty, what makes Milano such a fascinating destination. Milano has every possible price point in terms of hotels. And, needless to say, I haven’t stayed at all of them (! ), but I do tend to stay at group of hotels, all of which I highly recommend. If money is no object or you just want to splurge, you must stay at the Park Hyatt Milano (http://www.milan.park.hyatt.com/hyatt/hotels/index.jsp?null). The hotel is located right next to the Gelleria Vittorio Emanuele II (the famous stain-glass covered shopping arcade) and the Duomo. If you need something a little cheaper, but still close to the Duomo, go to the UNA Maison (http://www.unahotels.it/en/) which is about a block and half from the Duomo and a hotel of calm with a pallate of whites and beiges. I love this hotel! About a 15 minute walk further east (I think) is the Petite Palais Hotel ( http://www.petitpalais.it/). This hotel has been hit and miss for me but the design, decor, and location make me keep coming back hoping for a good room, as opposed to a corner room on the second floor that seems to invite all of the outside noise at all hours of the night. And finally, if you are in Milano for a conference – and not interested in staying the centre but rather out near the fair grounds – I’ve stayed at the Regency Hotel Milano ( http://www.regency-milano.com/). It’s probably a 3 star hotel but actually quite lovely and quirky in it’s decor. If you don’t want to be at a conference hotel, I would stay here (if I couldn’t stay in the centre). Another more recent find is “the Yard” (http://www.theyardmilano.com/) a new endeavor by a truly lovely family. This is not so much a hotel, as it is a bed and breakfast: the family is always there, their sun a sweatheart, and everyone just wants to help you. The only downside, if there is one, is that you don’t exactly have privacy: the family is literally just down the hall so, I imagined anyway, that they can here everything that you are doing. It was a strange feeling. But all-in-all, I would stay again. And if you are looking for something truly unique, I highly recommend the “TownHouse Collection” (http://www.townhouse.it/) of hotels. Each is unique, close enough to everything that you want to see and do, and you don’t feel like you are staying in staid hotel. I love TownHouse 33. I love the TownHouse chain and this hotel did not disappoint. The communal breakfast in the morning was more than the typical Italian breakfast but not quite the American smorgasbord breakfast that some may be used to. I loved it! And in terms of the rooms: some rooms look to an inner courtyard and these, I suspect, are quieter than those looking on to the street. Finally, I have found places in Milano that I can recommend for the hungry traveler! 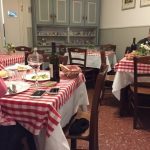 I have fallen in love with the Trattoria del Nuovo Macello (http://www.trattoriadelnuovomacello.it/)! I am literally dreaming about the staff, the food, and the wine list. I could go on and on about this restaurant but, instead, just take my word for it and go, but know that, like many restaurants in Italy, they are closed on Sundays. And when you do, be sure to get the saffron “rice pudding” with strawberries if it is available. Oh. My. God. In the Navigli neighborhood, I was taken to one of the growing slow food establishments that I honestly cannot wait to return to: L’Osteria Grand Hotel (http://www.grandhotelosteria.it/). It’s not the easiest place to find – to say that it is tucked away off of a busy street is an understatement! – but with a good map and a bit of patience, it will be worth the trip! At first, I wasn’t sure if they spoke anything other than Italian but I am happy to say that I heard a bit of English and a bit of German the night I was here. The antipasti and the primi were truly mouthwatering and the dolci, which I don’t typically take, was incredible. 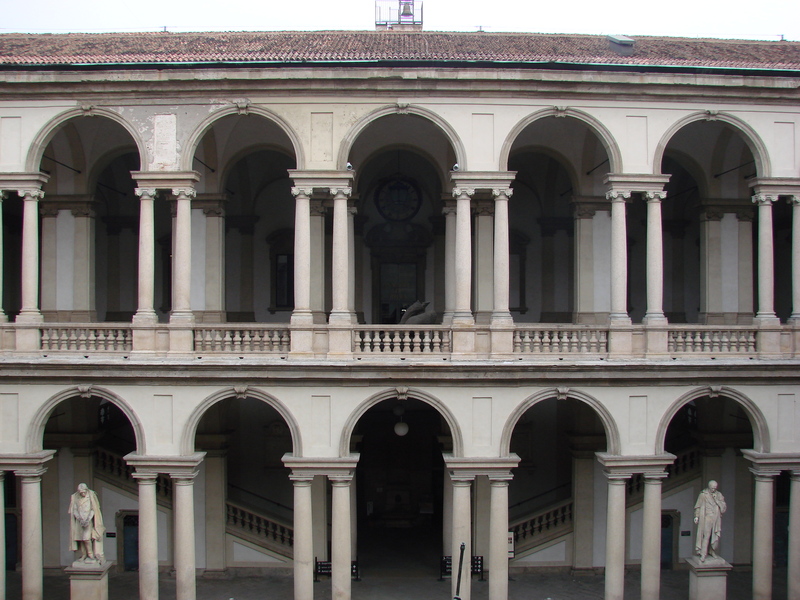 Make this a stop on your tour of Milano! My latest find is a keeper! La Bettola di Piero (no website but on Facebook) is a quintessential Italian restaurant. There is nothing fancy, the tables are covered in checked tablecloths (not to be kitschy but for real), and there are old pictures hanging on the walls. But the food is absolutely divine, the owners are so genial and check on every diner, and the ambiance is so inviting and welcoming. They do have an English menu available but I honestly can’t tell you if they speak English as everyone in the restaurant – except for yours truly – was Italian: I did not hear one word of English spoke then entire time! 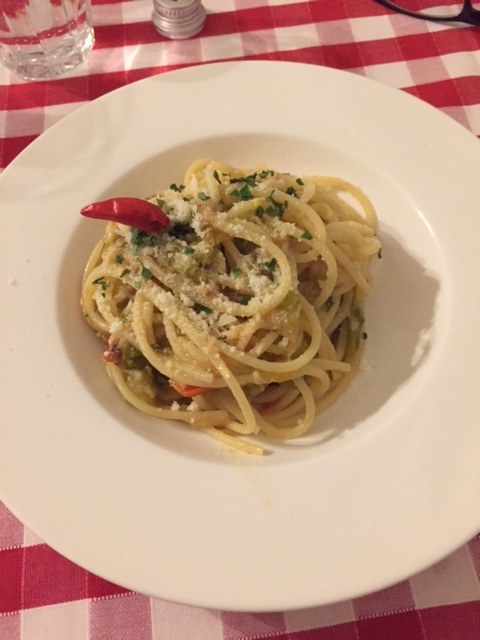 And if you are in need of some great, classic, and unpretentious Italian food, head no further than La Cantina di Manuela, a 10 minute walk from TownHouse 33. 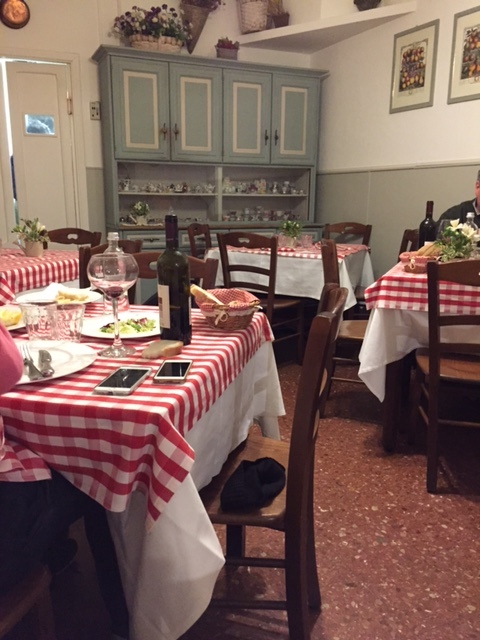 A small enoteca with wonderful wines by the glass, the food was outstanding and full of locals so you knew it would be good. I will be back in August, if not sooner, and cannot wait! If you are near the Duomo and are looking for great, yet affordable pizza – for either lunch or dinner – I can highly recommend Mozzarella e Basilco (http://www.mozzarellaebasilico.com/). Tucked away behind the Duomo, off of Corso Vittorio Emanuelle II, is some of the finest pizza from Napoli that I have found this far north. The restaurant is filled with everyone – young, old, local, and tourist – and the staff and managers are just outstanding! It is so good that I am literally drooling as I write! Be sure to put this on your list of places to visit. 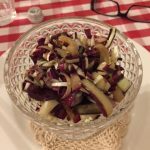 If you are in Milano for a conference, I can highly recommend Ristorante Controvento (www.ristorantecontrovento.com) (which is not far from TownHouse 12)! If I hadn’t been in search of multiple suggestions to add to this blog, I honestly would have eaten here every night. The staff are amazing, they speak about every language possible, and the food is absolutely divine! And the wine list, already outstanding as it is, but if you ask the owner, he may just suggest a few options that aren’t on the list. And before you leave the Duomo, be sure to pay to go to the roof of the Duomo and walk on the roof. The views are stunning and it’s something you can do that not everyone knows about. And, if the weather is not good, or you just need a break, be sure to go to La Rinascente department store, right next to the Duomo, and go to the cafe on the top floor; it has views of the Duomo from an angle that not everyone has the luxury or knowledge to view. 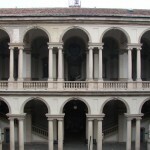 After you have done the requisite tourist things – all of which I love and recommend – be sure to allow some time to go to the Pinacoteca di Brera art gallery (http://www.brera.beniculturali.it/) something that I overlooked for the longest time and now is one of my favourite galleries in the world. If you can get in, I highly recommend seeing an opera at La Scala. It’s difficult to get tickets, but if you can, you won’t be disappointed: it is, after all, where Italian Operas began! And finally, your trip to Milano would not be complete without a stroll down Via Montenapoleone, Via della Spiga and Via Sant’Andrea. This is where the pretty people are – assuming you don’t think all Italians are “pretty” – and the clothes aren’t too bad either. And if you have the chutzpa (not meant negatively, I assure you), go in to the shops and see some truly outstanding craftsmanship. I do it every time! And with that, I will wish you great travels to a city that I adore and think of as a third home. Buon viaggio! 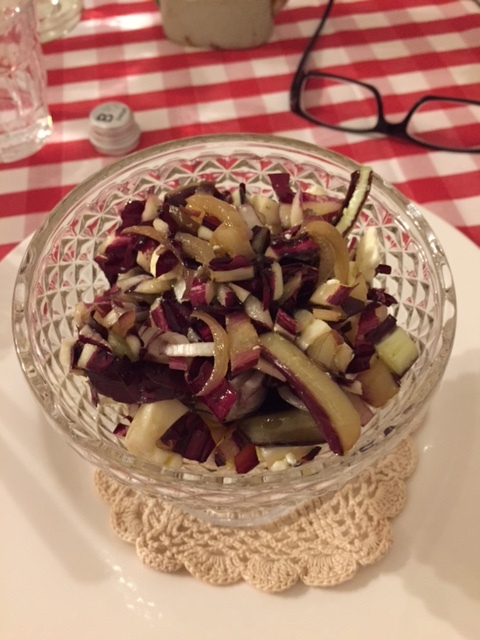 This entry was posted in Milan and tagged Duomo, fashion, Last Supper, Milan, Milano, milano centrale, slow food, ticinese, townhouse. Bookmark the permalink. Delhi was more than I expected to be honest. The vibrancy and “controlled” chaos is unlike anything I’ve seen elsewhere. Chennai, where the people are so incredibly kind, the city takes pride in itself, and the way that southern Indians meld and blend spices calms me, and takes my breath away.